(1) There were off-train excursions to visit the Royal Yacht Britannia or a cruise of the Firth of Forth from Dalmeny. 11/08 : 0Z38 : (booked: class 67 light engine) : London Kings Cross to Hornsey Sig. K440 - but presumably cancelled? 11/08 : 0Z38 : (booked: class 67 light engine) : Hornsey Sig. K440 to Acton TC - but presumably cancelled? 12/08 : 0Z40 : (booked: class 67 light engine) : Acton TC to Hornsey Down Reversing Sidings - but presumably cancelled? 12/08 : 0Z40 : (booked: 67026 light engine) : Hornsey Down Reversing Sidings to London Kings Cross - but presumably cancelled? 11/08 : 0Z38 : (booked: class 90 light engine) : Edinburgh Waverley to Abbeyhill Jn - but presumably cancelled? 11/08 : 0Z38 : (booked: class 90 light engine) : Abbeyhill Jn to Edinburgh Waverley - but presumably cancelled? 11/08 : (booked: class 90 light engine) : attach to rear of 1Z38 shunting under local arrangement - but presumably cancelled? 11/08 : 5Z38 : (booked: class 90 + 11 coaches + 90036) : Edinburgh Waverley to Millerhill SS - but presumably cancelled? 12/08 : 5Z39 : (booked: class 90 + 11 coaches + 90036) : Millerhill SS to Edinburgh Waverley - but presumably cancelled? 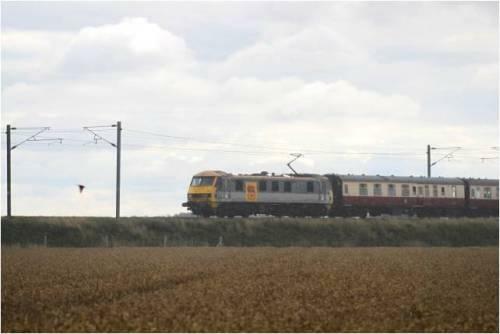 12/08 : (booked: class 90 light engine) : shunt to MR under local arrangement at 14:33 - but presumably cancelled? 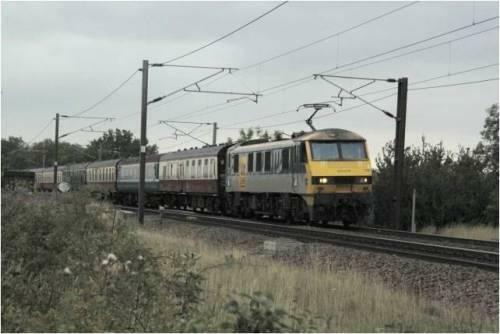 11/08 : 0Z39 : (booked: class 90 light engine) : Millerhill SS to Edinburgh Waverley - presumably cancelled? 12/08 : 0Z39 : (booked: class 90 light engine) : Edinburgh Waverley to Millerhill SS - presumably cancelled?